Have You Earned The Right To Squat With The Barbell? When it comes to the squat, even the weakest of individuals naturally gravitate to the barbell. But without earning the right to lift with the barbell which is considered the apex of all loading tools, these people are truly leaving their strength results and orthopedic health to random chance. 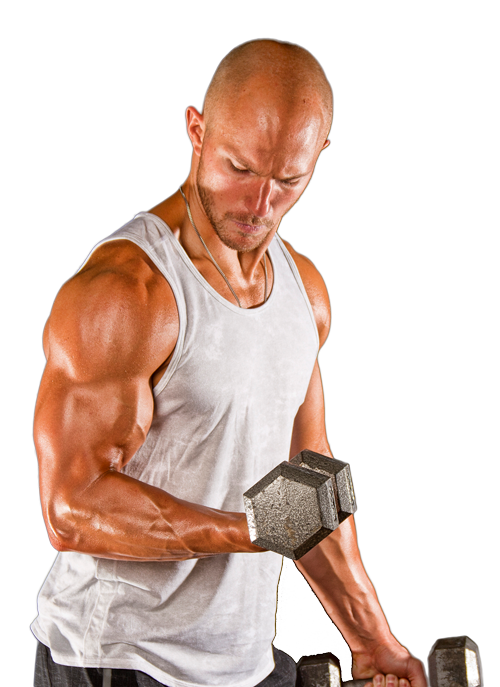 How do you earn the right to successfully train hard and heavy with the barbell? It’s as simple as passing this simple, but sinister relative strength test using 50% of your bodyweight in your hands for 25 unbroken reps. Seems easy enough, right? Instead of shrugging off this test and thinking you’re too good to squat with a dumbbell in your hands I challenge you to actually take the test and see where you stack up. After putting many athletes through this exact test in my career, I need to warn you… Prepare yourself to be humbled, as even some of the strongest individuals are pushed to the brink of failure on this test. The goblet squat test is used not only to test an athlete’s lower body strength and muscular endurance, but also to identify weak links in the foundational squat pattern that usually come to the surface when load, reps and metabolic stress is involved. The heavier loaded goblet position allows coaches and athletes a chance to evaluate the function of the pillar (the shoulders, hips and core synergizing as a functional unit) along with default patterns in the squat that surface when fatigue sets in. The goblet squat allows athletes to learn how to properly stabilize the pillar during squatting. The best way to safely evaluate default patterns are by testing extended rep ranges with loads that are relative to ones bodyweight. In this type of testing scenario, we can allow athletes to squat authentically, while watching the deviations from good form that happen as they get fatigued. The ability to maintain proper technique and form under load and stress identifies a proper “default pattern” that will become a protective mechanism under any type of loading. The presence of this solidified default pattern is also correlated with movement mastery. As in any testing scenario, we must ensure that we properly implement the test for accuracy, but also use discretion when putting athletes through this test. As soon as technique is lost and ugly reps start being executed, the test is over. Never jeopardize an athletes health for the sake of passing a test. How did you stack up on this relative strength squat test? If you hammered through 25+ reps with 50% of your bodyweight in the goblet position with pristine form, you have officially earned the right to train any barbell squat variations hard and heavy. Congratulations. If you can goblet squat 50% BW for 25 reps, you’ve earned the right to barbell squat. For those of you who didn’t quite make it to the 25 rep relative strength metric with proper form and depth, no worries. The next step is identifying your weak link that held you back on this test. Remember, any time we assess or test a movement pattern, it’s a chance to derive data to help us improve as resilient athletes. Since the squat is considered a foundational movement pattern, it needs to be trained. Using the performance and functional data that we identified in this testing scenario, choose the squat variation that fits your current body type, skill level and functional goals. With that mindset, you’ll be able to improve your strength, and start building a resilient base of function out of the squat pattern. Choose the squat variation that fits you perfectly based on your body, skill level and goals. Ensure that your athletes and clients are proficient at each of these steps that build the squat pattern from the ground up before you program in a more advanced variation. A great example of this step by step squat progression in action is featured in my Foundations of FHT program that is truly one of the most comprehensive beginners programs ever written. If you can move through all six with proficiency under loading, it’s time to work hard to get strong while maintaining your movement capacity while training the squat hard and heavy! That’s called earning the right to barbell back squat. 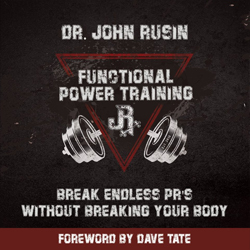 Dr. Rusin is the leading pioneer in the fitness and sports performance industries in smart pain-free performance programming that achieves world class results while preventing injuries in the process. Dr. John’s methods are showcased in his 12-Week Functional Hypertrophy Training Program that combines the very best from athletic performance training, powerlifting, bodybuilding and preventative physical therapy to produce world-class results without pain and injuries. This is great. I am going to try this test on Saturday! Question: do you have an estimate of what someone’s back squat would be if they can pass the 25 rep goblet challenge? Great article. I have started squatting for the first time a few months ago. I own some adjustable dumbbells I use at home that go up to 90lbs. I started with golbet squats 3 sets of 5 reps at 45lbs and now am up to 3×12 at 90lbs (I weight ~165lbs). I occasionally go to a gym and have done back squats for the first time. I have done 3 sets of 5 at 210lbs with good form. I am able to increase weight or reps each workout (probably due to being new to squats). I’d like to learn the back squat form so that when I fully transition from goblet squats I don’t need to start from the beginning of learning form and slowly progressing weights. Any thoughts on what you see from your trainees?